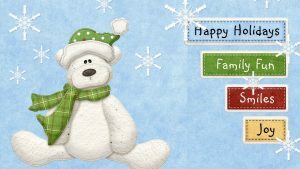 Hello all first I want to wish you a very happy and safe holiday season:) It is the season for family, fun and generosity. 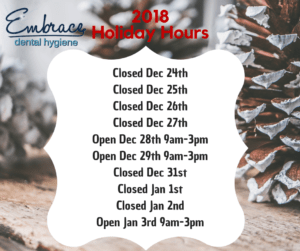 I wanted to let you all know that there will be some changes to my holiday hours. Many of you are trying to get one last teeth cleaning in before the new year and maximize those benefits. Or maybe you just want your smile to sparkle for holiday photos and events. Or my personal favorite take time out from the chaos with a little self care. In order to have some family time I will have limited hours between Christmas and New Years Day. 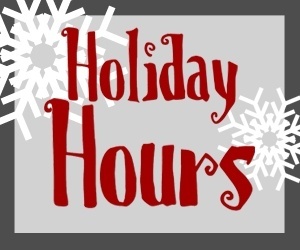 I will be open on Friday Dec 28th and Saturday Dec 29th to help those who need it prepare for New Year’s festivities. Check out my teeth whitening options ! Please have a safe and fun holiday season! 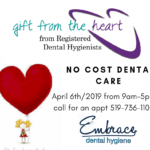 Don’t forget to take care of yourself, your mouth and your health. 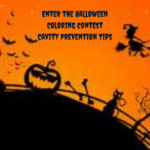 Enter our Halloween Coloring Contest to win a cavity prevention kit. Trick or Treatment? Keep those smiles cavity free with these tips.